My Blog: Life is Fabulous! Hi! Today I have a quick little bookmark (or tag) idea to share. Since this is the season of gift giving, I will have a lot of gift ideas on my blog in the coming weeks. I love the vintage look of this set and love the sentiment :) I paired it with Echo Park Times & Seasons patterned paper and some Die-namic dies by My Favorite Things. Perfect together! Great bookmark. Love the vintage look. Beautiful! Who wouldn't be happy to get this one! This is great. I love to make tags too for the holidays, and I love the way yours turned out! Thanks for the great inspiration. Great vintage look, art deco'ish I think! Great bookmark tag. Love the sentiment too! Love giving bookmarks! This one is gorgeous! Would be wonderful for my husband! TFS! What a wonderful tag/bookmark! 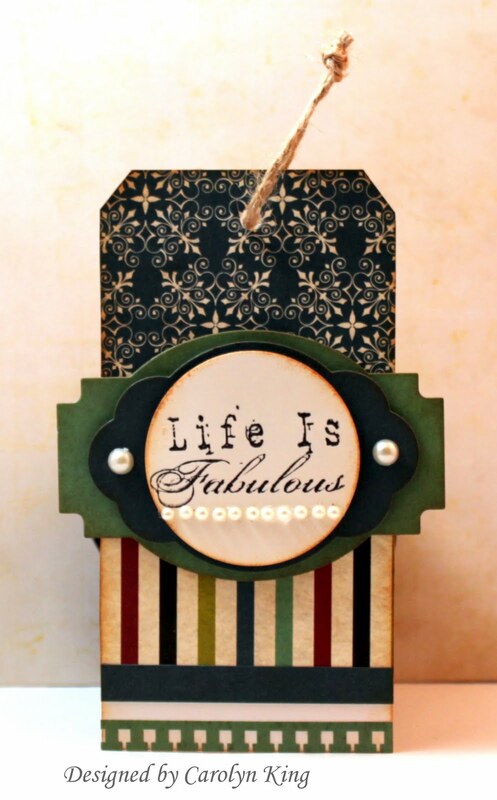 The sentiment is fab and the papers are gorgeous! Gorgeous! Love the colours, layout and sentiment. Beautiful bookmark with a wonderful vintage look. I love the rich coloured papers you used.